The Bonnie was relaunched by ‘Hinckley’ Triumph in 2001 in 790cc guise before increasing to 865cc in 2006 and gaining fuel-injection. While the purists love to hark on about carbs, it’s hard to tell the Bonnie is injected at all as Triumph have disguised the injection system to look like a set of carbs to retain the authentic old-school look. The parallel twin motor may be 1200cc, but in the Bonnie it has been tuned for maximum ease of use. You don’t need to go hunting for an elusive bit of torque, as long as the rev counter is showing above 2000rpm the T120 is ready to waft you forward with minimal fuss and revs.. If you want a bike for enjoying sunny Sundays on, the Bonnie is perfect. 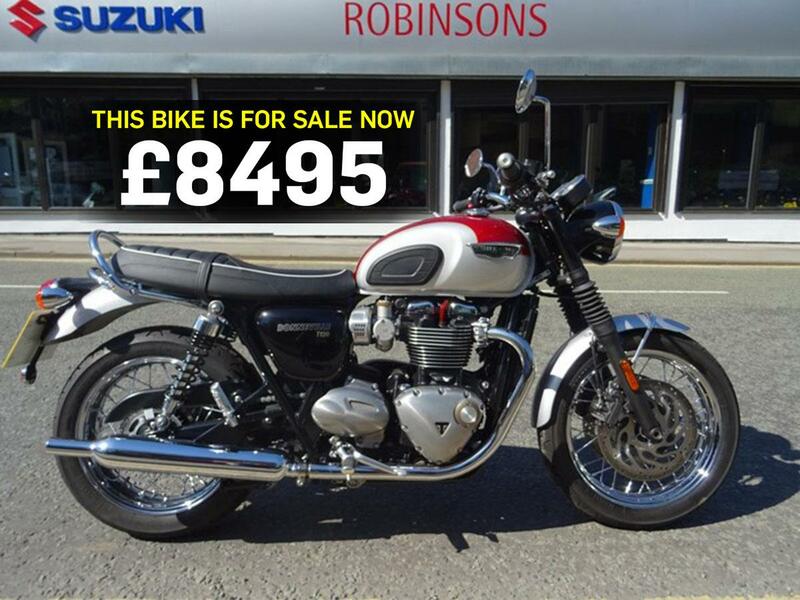 You can see this Triumph and find more Bonneville models at MCN Bikes for Sale.